The one thing between you and your best self is how you use your mind. 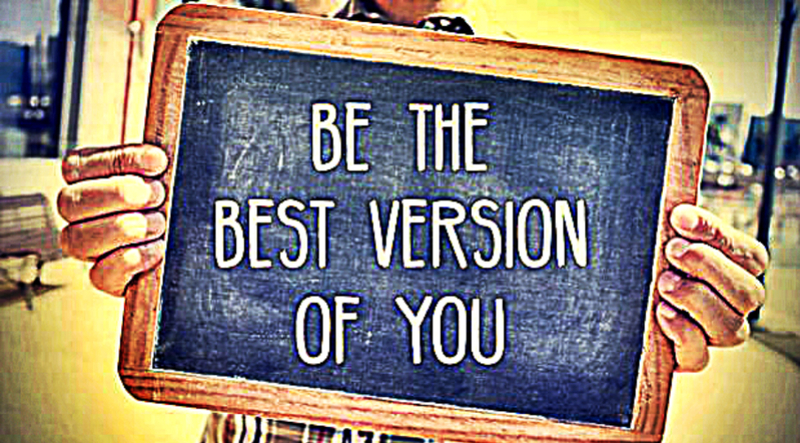 If someone asks why are you not your best self, right at this moment, what would you answer? Probably you will find couple of excuses. However the real problem is most often, if not all the time, in your way of using your mind. It’s in how you think. Your mind is a powerful tool, but most of us have no idea how to use it. We don’t have the user’s manual and we usually let it run on default. You have a supercomputer and you let it run on default. It’s normal that this supercomputer will not follow your desires as you are not using it properly. In order to be the best self you should make small changes every single day. This changes are natural when you remember these 3 things. 1. Your real worth doesn’t change. You might have heard this quote before, but rarely who really gets it. It’s something we know to be true but we don’t act on it being true. This simply means that no matter if you are clean, dirty, in a bad mood, or in a happy mood, your worth is the same at any time. 2. Others are not your enemies. We live as if there is an enemy out there somewhere that we need to fight. Sometimes we project this idea of an enemy to other people, especially to those who stress us out. But others are not your enemy. In fact, others would benefit much more by being your friends. 3. You make the world better by being yourself. We often have this idea that making the world a better place is a grand quest. One where you need to stop all wars or prevent pollution. But in reality, it’s much simpler. You are making the world a better place by being your real self.